Myss Lafunky's Blog: The Day of the Lord is coming. Are You Ready? I am coming quickly, and my reward is with Me, to give every one according to his work. Since all these things are to be destroyed in this way, what sort of people ought you to be in holy conduct and godliness. But of that day and hour no one knows, not even the angels of heaven, nor the Son, but the Father alone. For the coming of the Son of Man will be just like the days of Noah. For as in those days before the flood they were eating and drinking, marrying and giving in marriage, until the day that Noah entered the ark, and they did not understand until the flood came and took them all away; so will the coming of the Son of Man be. Then there will be two men in the field; one will be taken and one will be left. Two women will be grinding at the mill; one will be taken and one will be left. Therefore be on the alert, for you do not know which day your Lord is coming. But be sure of this, that if the head of the house had known at what time of the night the thief was coming, he would have been on the alert and would not have allowed his house to be broken into. 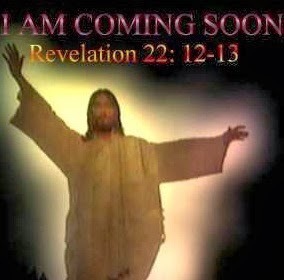 For this reason you also must be ready; for the Son of Man is coming at an hour when you do not think He will. Are you prepared for Jesus coming? Who may ascend to heaven? He who has a pure heart, he who lives holy. Nothing unclean will enter heaven.